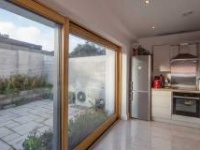 An expert team working with the government’s advisors on climate action has said there is “no feasibility in practical terms” of the UK complying with the near zero energy buildings (nZEB) target in the European energy performance of buildings directive (EPBD), when it kicks in in 2019. The EU directive requires member states to make all new public buildings near zero energy by the end of 2018, with all new buildings following by the end of 2020. As many of the public buildings due to be occupied in early 2019 onwards are already being procured, information about compliance should have been available by now – but it is not. The UK government is not expecting to know whether current regulations are compliant or require improvement before next spring, and any updating of Part L of the building regulations will now await the report of the post-Grenfell Hackitt Review of building regulations. As indicated in Passive House Plus earlier in the year, rather than improving the energy performance of buildings, the government’s emphasis as regards complying with the EPBD is focused on demonstrating the “cost optimality” of the current 2013 Part L. However even that assessment is not due until spring 2018. Meanwhile the UK government will not start consulting on possible improvements to Part L until the spring or summer of 2018, and even then will only consider improvements they deem to be “cost-effective and affordable”. “The independent review of Building Regulations and fire safety, being led by Dame Judith Hackitt … will report in spring 2018. Subject to its conclusions, the Government intends to consult on improving energy performance requirements for new homes, new non-domestic buildings and works to existing buildings where the evidence suggests that there are cost effective and affordable opportunities and it is safe and practical to do so,” the DCLG said. Although Scotland and Wales have committed to meeting the nZEB standard and to updating their devolved building energy standards as necessary, progress in these nations does not appear to be rapid enough to deliver compliance by early 2019 either. The Scottish government is planning a review of energy standards in light of nZEB requirements, but a spokesperson confirmed that this is only in its preparatory stage. Meanwhile the Welsh Assembly has also pledged to review its building regulations, but a spokesperson confirmed that this is only in its “initial scoping phase”. 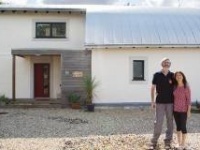 Like England, the Welsh government appears to be falling back on a favourable interpretation of the current regulations in order to comply, at least as a stopgap: “We believe that improvements … made in 2014 will be found to achieve or have made a significant step towards the directive target.” Passive House Plus was told. Meanwhile, a group supported by a wide range of construction sector organisations is urging the Greater London Authority (GLA) to make a clear commitment to fabric energy performance and set energy targets, updating the current “zero carbon” target to be more closely compliant with the nZEB target. 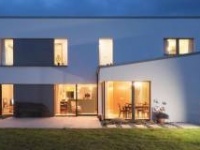 The GLA told Passive House Plus earlier in the year that that while it does not currently set targets for reducing energy demand, “we will consider developing one in the future”. In its report Getting to Zero, the London Energy Transition Initiative (LETI) calls on the GLA to put in place a metric “that is clear, simple to understand and readily comparable between buildings”. The report, endorsed by the UK Green Building Council, the Good Homes Alliance and many leading London design and engineering practices, proposes that in line with building performance standards used internationally, including by passive house, London should switch to a total energy consumption kWh/m2 (energy use) metric including both regulated and unregulated energy, to replace the current CO2 emission compliance methodology. 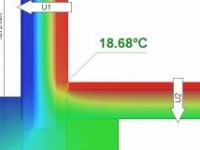 Also in line with the nZEB targets, the LETI proposals urge a fabric first policy with an efficiency target that takes into consideration both heating and cooling. Including (unregulated) cooling demand in the target would increase the pressure on designers to take account of, and minimise the risk of, overheating, which is a looming issue in London in particular. “An efficient building fabric drastically reduces energy consumption, makes the building more resilient to weather extremes and decreases capital and maintenance expenditures on active building services. “The risk of ‘locked-in’ inefficiency in the building fabric is more acute than that of building services – getting it right the first time is much less challenging than a ‘fix it later’ approach,” the report team wrote. The report also challenges the assumptions about carbon savings that underlie the requirement in the London Plan to connect to district/communal heating, and to gas CHP in particular. “Currently, developments are typically obliged to utilise a district (communal) heating solution on site and/or connect to a district heating system where one is available ... regardless of the efficiency of the district heating system of whether or not connecting to the system will actually achieve a reduction in carbon emissions, compared with alternative on-site solutions. “This is acting as a positive disincentive for project innovations focussed on next-step reductions in thermal demand and developments that want to achieve zero combustion fossil free fuel on site,” the report warns.